Sunburst Environmental plumbing services in Woodstock, Georgia provides high pressure water jet drain cleaning services to clear slow-moving and clogged pipes. Hydro Jetting is a more environmentally friendly alternative to drain snakes and chemical cleaning and can help you avoid costly plumbing repairs. Plumbing-Drain & Sewer Cleaning, Sewer Contractors, Sewer Cleaners & Repairers. Our Georgia drain jetting plumbing services include sewer video inspections. 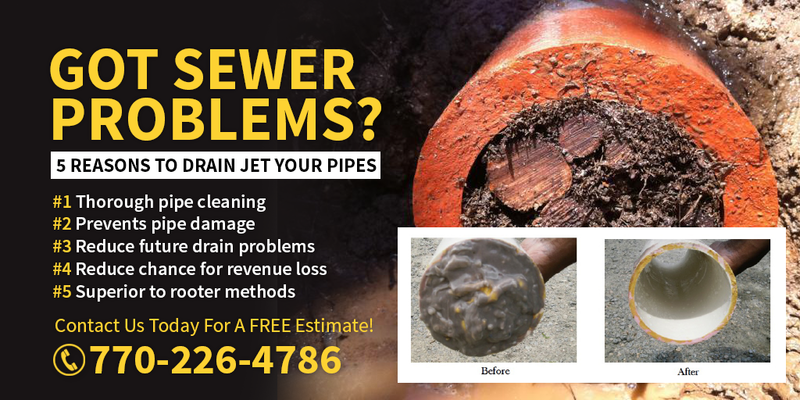 Sewer line services, drain cleaning – we do it all.